One of the fascinating themes of the novel Zoli (and I promise all this does relate to composing! ), is the difference in attitudes between the Western/White attitude to the meaning and permanence of culture; and that of the Gypsies. 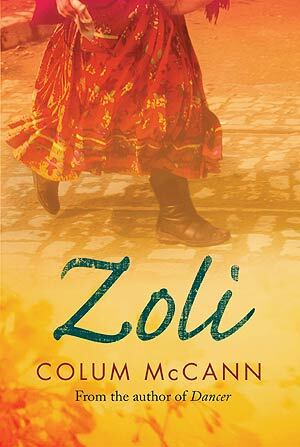 Where the non-Gypsy protagonists in the story attempt to 'save for posterity' Zoli's brilliance as a poet and singer, the Gypsies find this very notion absurd and eventually outcast Zoli for what they see as her betrayal of their culture by allowing her words to be written down. At the end of the novel Zoli sends a message to her English/Czech former-lover and documenter who has spent lovesick years trying to find her again. The one thing she has to say to him after all this time is "nothing is ever fully understood" - that the white man's impulse to attempt to understand and document everything is doomed to failure. Culture and meaning are impermanent, incorporeal, impossible to capture. Indeed, like a quantum particle, the very act of looking changes their meaning. A few days ago I met up with the amazing Nicki Wells whom I heard singing last month with Nitin Sawhney at the Akram Khan show at Sadlers Wells. Although raised mostly in the West, Nicki surprised everyone by beautifully singing a Shloka which is a sansrik poem or prayer - I say surprised because I've never heard a non-Indian reproduce the tones and embellishments of Indian music so movingly and effectively, and singing at first hidden behind a wall of fabric, blonde hair was not the most expected site to see when she finally emerged!